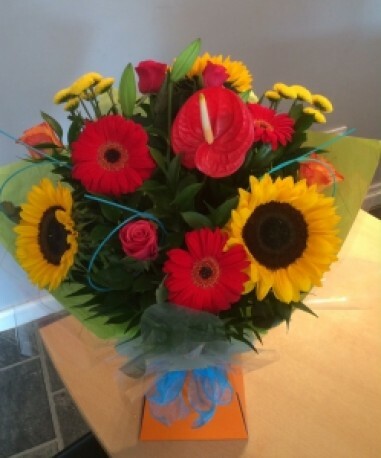 The is a lovely bright bouquet in one of our presentation boxes with food and water. It contains a mix of colours and bright flowers including sunflowers, roses and gerberas. The picture is the standard size.